A traffic ban on St Monica’s School road (Canon Road) during school run hours. Better Streets welcomes this scheme. 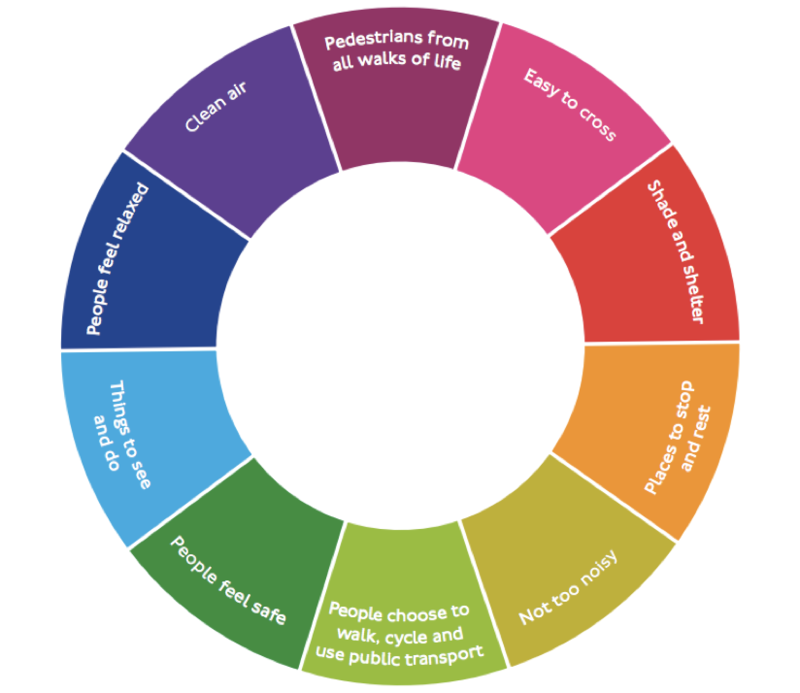 We’re pleased to see that the aim is to reduce the number of car journeys through the area, not just their speed, and to “create an environment where walking and cycling are facilitated and seen as the preferred method of travel”. It’s also good news that the council plans to monitor traffic to see if this is achieved – or whether further measures are needed. See the full report here (p. 13 onwards). But does the Fox Lane area have a lot of traffic? Yes – and most of it is simply cutting through the area to avoid main roads. 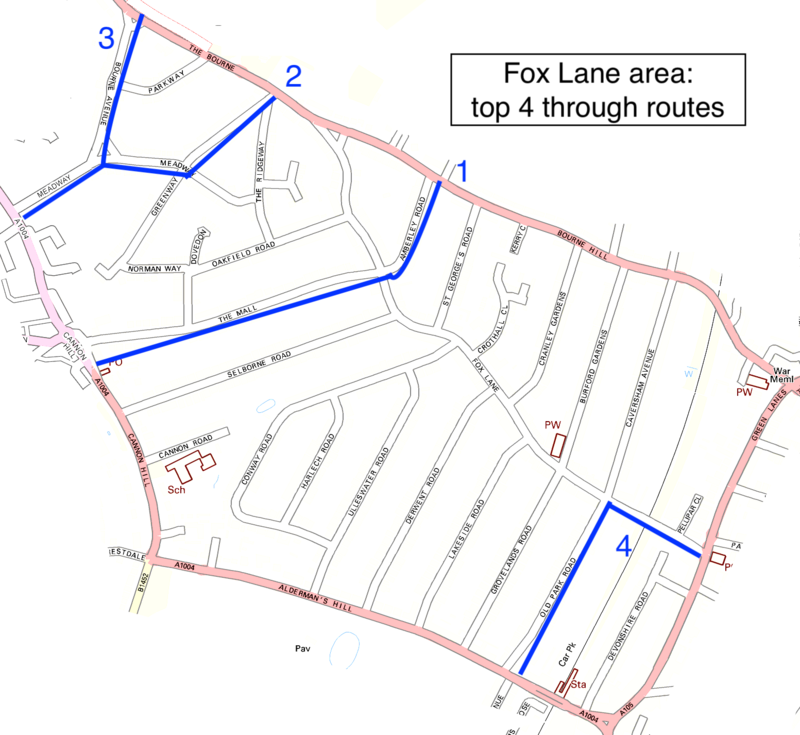 Back in 2015 the council did an ‘origin-destination survey’ to find which route drivers take through the Fox Lane area, using cameras with automatic number plate recognition at every entrance and exit. The results show the worst routes for rat-running through the neighbourhood. A Better Streets team is doing traffic counts of these routes. We’re using the tried-and-tested method of standing by the side of the road with a clipboard (backed up with video footage) noting down vehicles, pedestrians and cyclists. The results have shocked us. I stood on The Mall at morning rush hour last week and counted 540 vehicles passing through in an hour. That’s more than one car every 10 seconds. It also suggests that The Mall is carrying around 5,000 vehicles per day – a number you’d expect on a main road, not a residential area. Does the number of vehicles matter? Yes, it does. The Mall, Fox Lane and other roads in the area are horrible to walk on, never mind cycle. 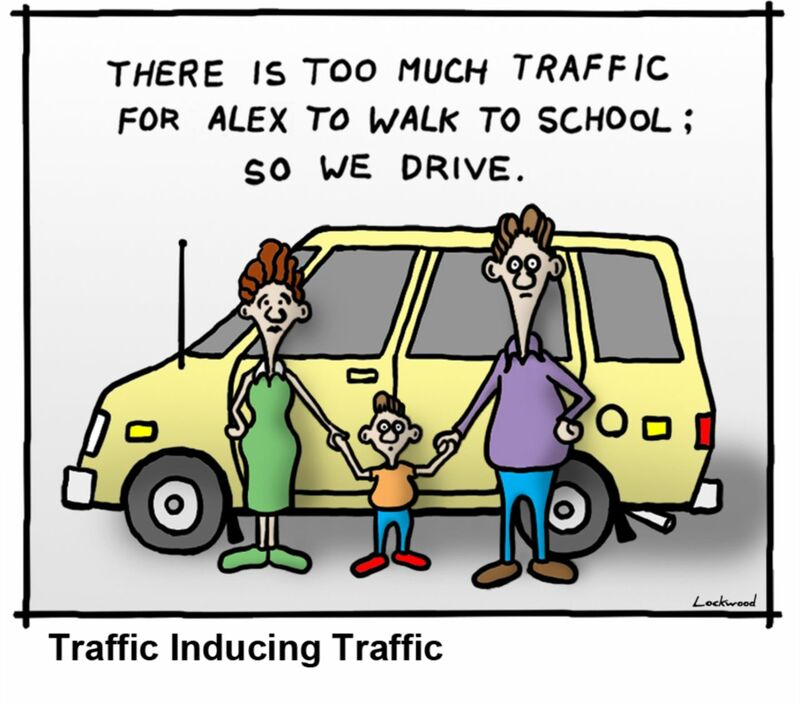 The traffic forces people, especially families, into their cars. Until last summer I took my daughter to school by tandem along Fox Lane. I only ever saw a handful of families walking or cycling to school – and always cycling on the pavement. The definition of a Healthy Street, according to the Mayor of London, is one where all sorts of people choose to walk and cycle; by that definition we do not have healthy streets. What we really need is less traffic. How did our neighbourhood roads get so bad? Many of us can remember a time when people on foot took priority over traffic in residential areas. Children could walk to school unaccompanied, or play in their street. That’s no longer the case – for instance, a large proportion of kids are now driven to school. What’s changed? It’s not just that there are more cars on our roads. The problem is that in the UK we treat our residential neighbourhoods as part of the main road network. As traffic has increased, many neighbourhood roads have become through routes for non-resident drivers. 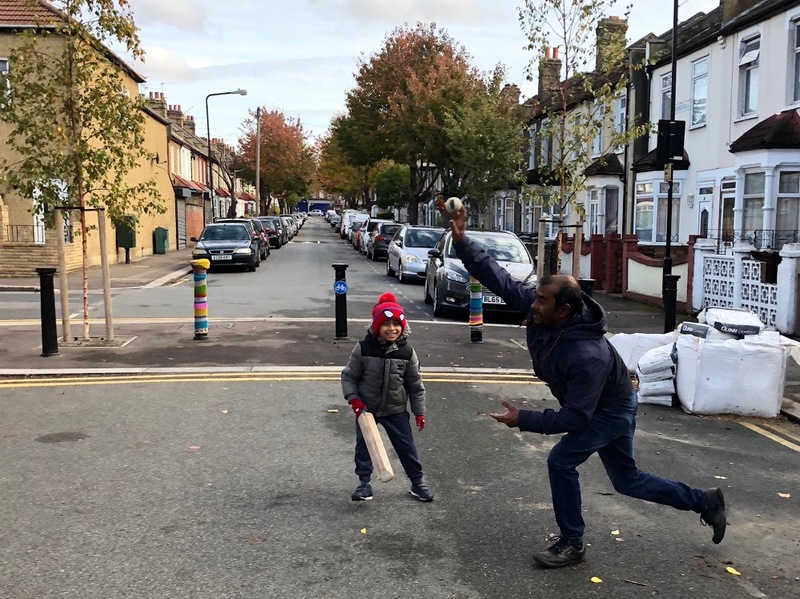 While other European countries (like the Netherlands, Switzerland, Germany) have redesigned neighbourhoods to make streets low in traffic and give priority back to people – with cars as ‘guests’ – the UK has yet to follow suit. Many of our core team happen to be residents of the Fox Lane area. 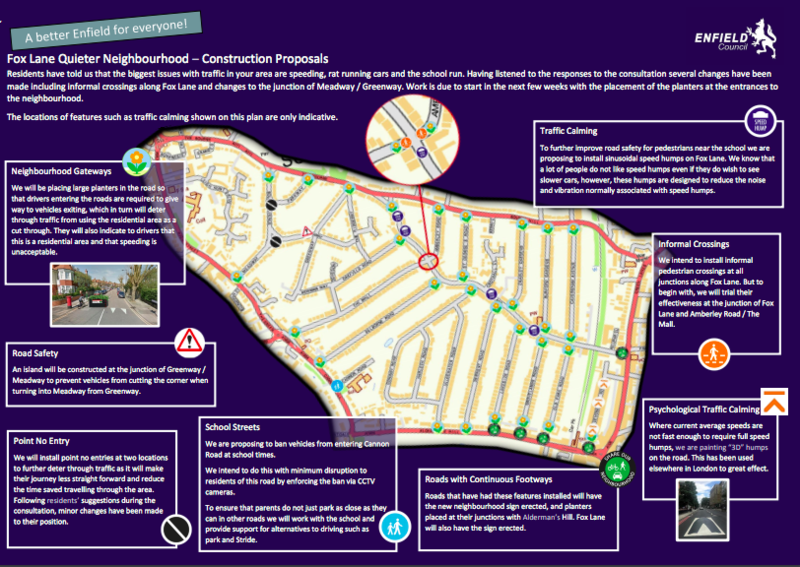 We’ll watch with interest to see if the QN scheme succeeds in its stated aim of reducing traffic and facilitating more walking and cycling – doing our own before-and-after monitoring to complement the council’s. If it succeeds – great! Job done. If not, we’ll ask for more planters to be added, to trial a low traffic neighbourhood. The principle of a low traffic neighbourhood (LTN) is that it takes through traffic out of the residential area and keeps it on the surrounding main roads. Barriers like planters or bollards close selected junctions to cars, but allow bikes and pedestrians to pass through – these are known as ‘modal filters’. (The picture below shows a modal filter in Walthamstow’s low traffic neighbourhood.) The result is that anyone can drive to and from any street in the area, but no one can drive through the area. For Fox Lane, this could be trialled cheaply by changing the position of the planters. Two could be placed side by side on certain roads, strategically closing them to through traffic. The exact position of each closure would need careful consideration by traffic engineers and residents, but the idea would be that whatever direction you drive from into the area, you’d have to drive out in the same direction. And the beauty of a trial is that nothing is permanent – the planters could be moved around if necessary. When the traffic is gone, people take back their streets! The picture above shows what happened on Old Park Road one weekend this summer when it was closed for roadworks. The recent LTNs in Waltham Forest show what’s possible. Traffic inside the area drops by between 50 and 90% – from thousands of cars a day per road to a few hundred. You find yourself walking down the middle of the road: people have priority over vehicles again. You can even hear birds singing. Walking and cycling rates have gone through the roof and families can cycle safely to school. People are taking pride in tending their front gardens. And once again, children are playing in the street. Ah, but what about the displaced traffic? Waltham Forest has shown that the surrounding main roads don’t become gridlocked when you remove rat-running. 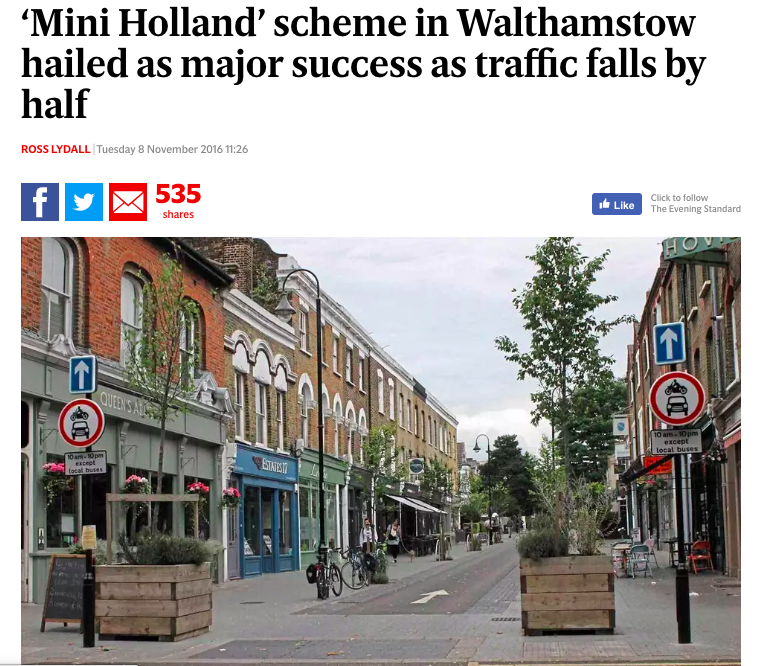 After their first LTN went in (Walthamstow Village) traffic volume rose significantly on the surrounding roads for the first few months, then subsided as people adjusted to the new layout. 12 months on, some main roads had more traffic than before, e.g. 11% more on Lea Bridge Road, but it was manageable (and shown not to impact on bus journeys). Two years later those levels had dropped again, with one main road actually lower in traffic than it was before. The truly amazing thing is that – taking the main roads into account – around 15% of car journeys disappeared altogether. This is ‘traffic evaporation’ (read more here). The scheme reduces demand for driving by making it slightly more inconvenient, especially for short journeys – it might take 5 or 10 minutes longer to drive in or out of an LTN – and increases demand for walking and cycling by making these modes much easier for all ages. One result of the lower levels of traffic has been a measurable decrease in air pollution in the area, according to a recent Kings College London study. What would Fox Lane be like as an LTN? If we get a low traffic neighbourhood in the Fox Lane area, we expect transformation. We expect to see kids playing out, neighbours spending more time in the street, chatting to each other and building community. We expect to see people of all ages being more active, walking and cycling daily. My own hope is that The Mall and Fox Lane would get a new type of traffic jam at peak hours – one made up of families walking, scooting and cycling to school. Finally, and most importantly, a successful Fox Lane LTN could provide a model for the rest of the borough. This area isn’t the worst affected by rat-running traffic by any means. 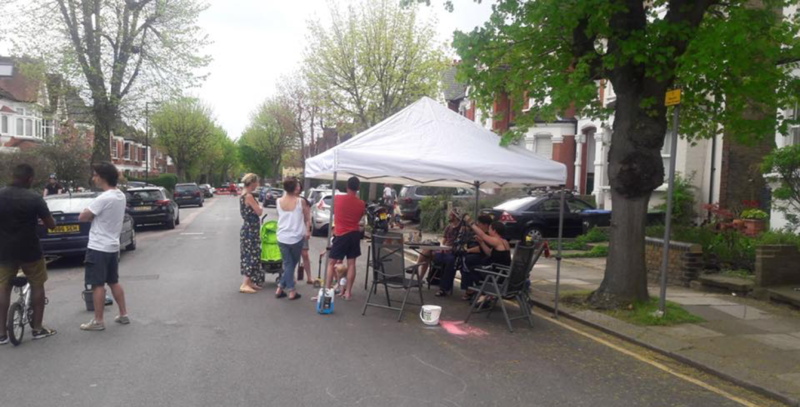 So, by pouring our energy into helping the council get this first neighbourhood right, Better Streets hopes to see it established as a principle for Enfield and rolled out across other areas. Do you want our updates on Fox Lane?